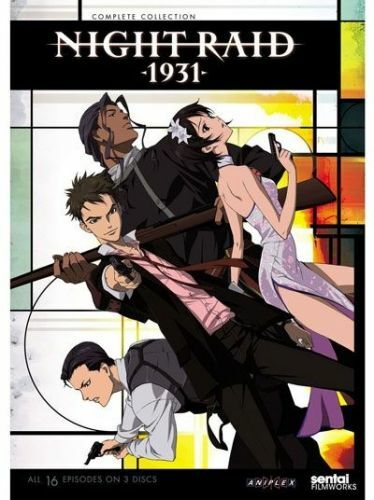 You are going to Watch Night Raid 1931 Episode 13 English dubbed online free episodes with HQ / high quality. Stream Anime Night Raid 1931 Episode 13 Online English dub At Least a Fragment of Hope.Natsume is fatally injured by a random soldier after his fight with Kuse, but asks that his death be concealed from Yukina for the time being. Natsume’s death causes Kazura to realize that he has been living in the past instead of looking forward to the future and he rejoins his former allies. When the Sakurai Kikan confront Isao, he explains that humanity must experience tragedy firsthand to avoid war again, but is refuted by Shizune, who suggests that Isao’s actions were actually for the sake of his late fiancée. When Sakurai appears and shoots at Yukina, Isao takes the shot and dies. Having infiltrated Isao’s group to eliminate him, Sakurai reveals his own interests in the nuclear arms to change fate, but his assistant, Ichishi, erases his memories.